RESERVATIONS FOR THE SUMMER OF 2019 WILL BE AVAILABLE BEGINNING ON MONDAY, MARCH 11TH AT 8:00AM CST. 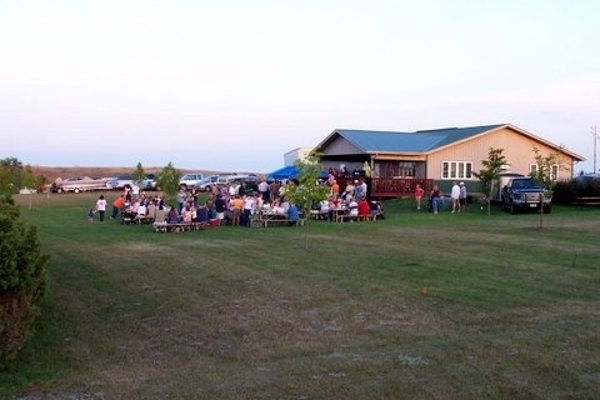 Hazen Bay is located on Lake Sakakawea just 15 miles North of Hazen and is a great place for Summer & year-round activities. 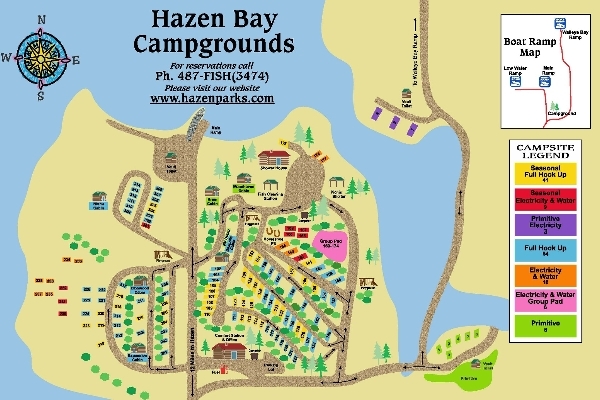 Hazen Parks & Recreations Department opens the Hazen Bay Campground in late May and offers its facilities until late September. 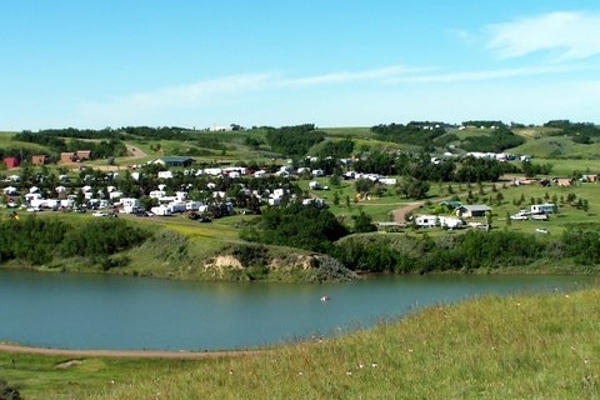 The campground will be operated and maintained from Memorial Day through Labor Day. Hazen Bay campground offers paved road access to approximately 135 camp sites (6 primitive, 6 with electricity, 25 with water and electricity, and 104 with Full Hook Ups), lodging in 6 beautiful cabins, 3-boat ramps, restrooms & showers, a fish cleaning station, 5-courtesy docks, a picnic shelter, 2-security lights, picnic tables, fire rings, trash receptacles, 3 playgrounds and a public telephone. For your convenience, shop the Lake Shack convenience store where they have bait, gas, beer and restaurant. Great times on Lake Sakakawea! 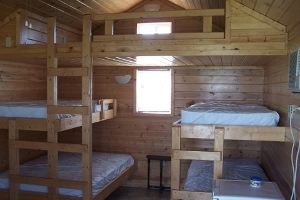 This Cabins have 2 beds and a loft and sleep 4-6. They have a mini-fridge and microwave. Linens are not provided at the cabins. 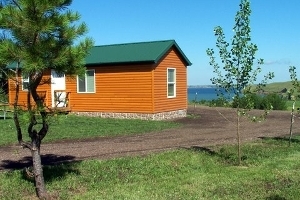 These Cabins have 2 bedrooms, full bath and kitchen. There is also a futon in the main living area. Cabins sleep 6-8. Each cabin has 2 full beds, 1 queen bed and a full futon. Cancellation Policy: Cancellations more than one week in advance will receive a 100% refund. Less than one week - 50%; less than 3 days - 0%. These sites are on the east side of Hazen Bay.. There is a vault toilet located near these sites. Cancellation Policy: Cancellations more than one week in advance will receive a 100% refund. These sites are recommended for Campers 32 ft or less. These sites are full hook-up with 30 amp plug ins and recommended for campers 32 ft or less. The group pad offers water and electricity with the freedom to arrange your campers as desired. Group pads are $21/night per unit with a minimum of $63 per night. Water and Electric Sites west of the boat ramp road. 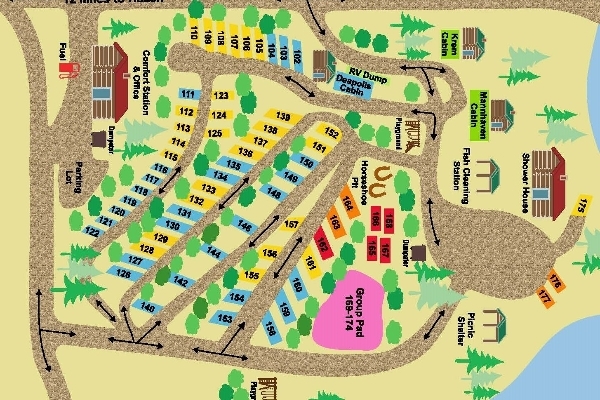 Newly added sites on the Northwest corner of the campground. 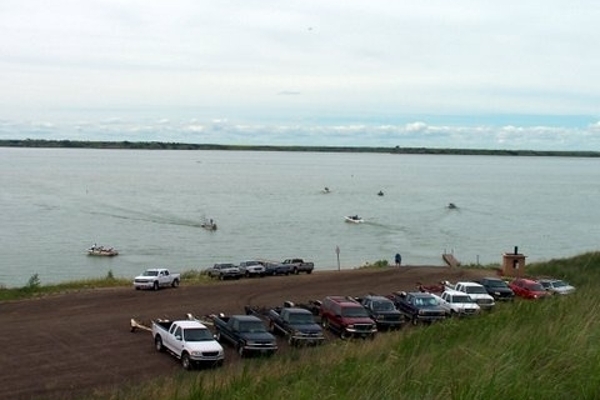 These sites offer tremendous views of Lake Sakakawea. 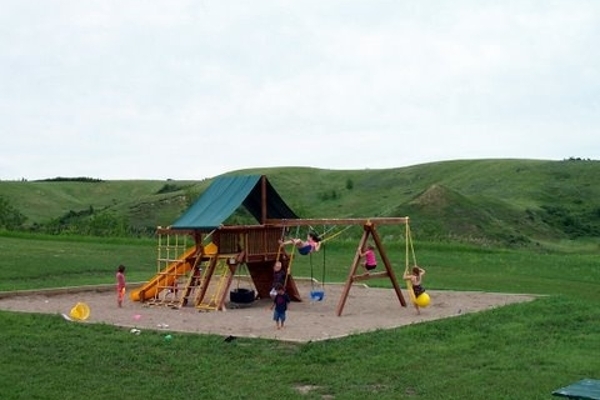 These new pull through sites have a great view of Lake Sakakawea. Sites 311 and 312 are ADA sites. Hazen Bay is USCOE Recreation Area managed by Hazen Parks and Recreation and is designated for Recreation only. No residential occupancy is permitted. 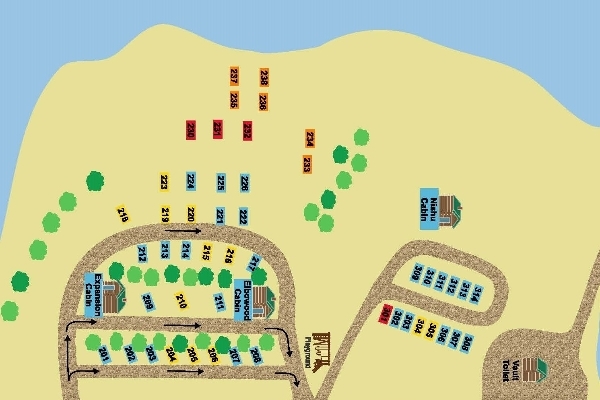 This means that your primary reason for staying at Hazen Bay is for recreation and not to facilitate employment. Stay Limitations - All camping, not included in the Seasonal Camping Program, is limited to a maximum of 30 of any consecutive 60 days. Deposit - All sites require a minimum 1 day deposit. Monthly and Weekly rentals require deposit of 25% of rental rate. Check-in/Check-out: Check-in time is 3:00 pm and Check-out is 12:00 pm central time. Cancellation Policy: Cancellations more than one week in advance will receive a 100% refund of deposit. Less than one week - 50%; less than 3 days - 0%.